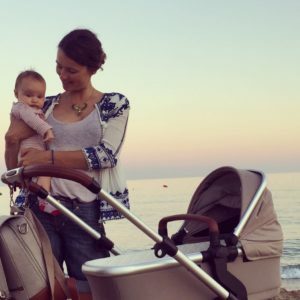 In the nine years since I have become a mum, I have tried and tested many prams and pushchairs, from Bugaboos, and McLaren to Mothercare’s own brands and some other brands that left zero impression on me. 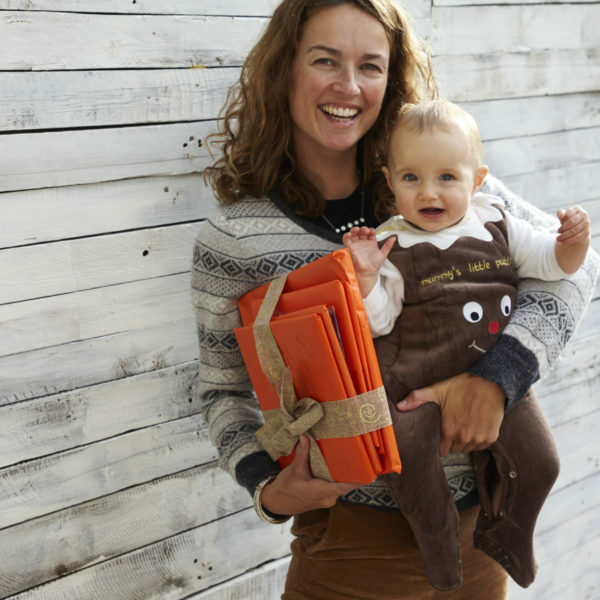 Before I had my number three, lots of pram and pushchair companies approached me and asked if I would like to test drive their products for NotSuchAModelMum. Clearly I jumped at the chance, and, out of all the brands, it was Silver Cross that leapt off the page for me. There is something very comforting about a company that has over 150 years of experience in prams and buggies under its belt. Having never had a Silver Cross pram before, I had always associated it with their Mary Poppins-esque iconic “Balmoral”pram- beautifully made, historic and very large! For the modern mum with three kids living in a small house and no Mary Poppins in sight, the Balmoral clearly wasn’t going to work! But the times have changed and Silver Cross have moved into the 21st century and have a huge range of modern prams that suit our hustling and bustling lives. As my middle child is 4, and still very occasionally needs to sit down whilst out and about, I need a pushchair that can accommodate both my newborn and my son on the odd occasion ( not often, as I know the brute is too big for the tandem seat!). I decided to plump for a pram called the Wave, because this system has more changeable options than selfies on Instagram! It transforms effortlessly from a single to a double pushchair without the need for an extra purchase, and can be used in any combination of carrycot, car seat and pushchair. This was the clincher for me. All double buggies are heavy and, when in double mode, this one is no different, though I am looking at the positives, so pushing the kids around in the Wave means that there is no need to go to the gym! 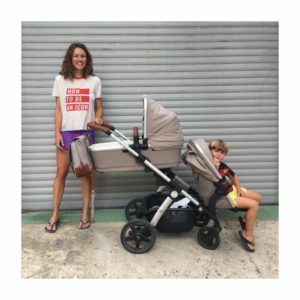 From experience, getting a lighter pram means compromising on less luxuries and extras, which is exactly what this pram oozes and is what I love about it. The padded cot, soft, well designed footmuff, seat covers and handle, drink holder, mosquito net, rain cover and umbrella soon add up both in style and weight, but for me, is totally worth compromising for. 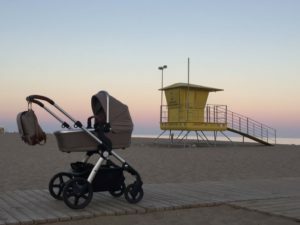 It is the sumptuousness of this pram that really sets it apart from its competitors- from a ventilated carrycot that is suitable for overnight sleeping, to a hood that has SPF 50 in it, every little detail has been considered. The abundance of colour options available for the Wave is also brilliant. It’s a treat to customise your pram a little, and it becomes a little mundane when the only options available are black, navy or grey. 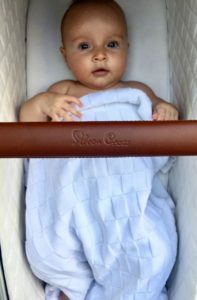 So, I opted for their new colour,” Linen.” Having had my child in a hot climate, the lighter colour helps keep her cool on hot days, and clearly shows that choosing the colour of your pram is very important! One of the things I love the most is that the basket under the pram is a great size. Whilst out and about with three children, it’s incredible ( and slightly terrifying) how much stuff you need, and this basket fits my needs perfectly. No more rifling on hands and knees under a buggy to dig out a mouldy apple, everything in the basked is easily accessible, which is a life saver when all three kids are melting down at the same time! 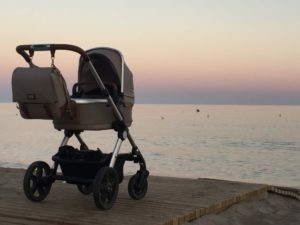 I cannot recommend this pram highly enough- beautifully made, easy to use, and safe, I can imagine that in another 150 years, my Silver Cross Wave will be the ” Balmoral” of the 22nd Century. Head over to Silver Cross and and your Wave here. 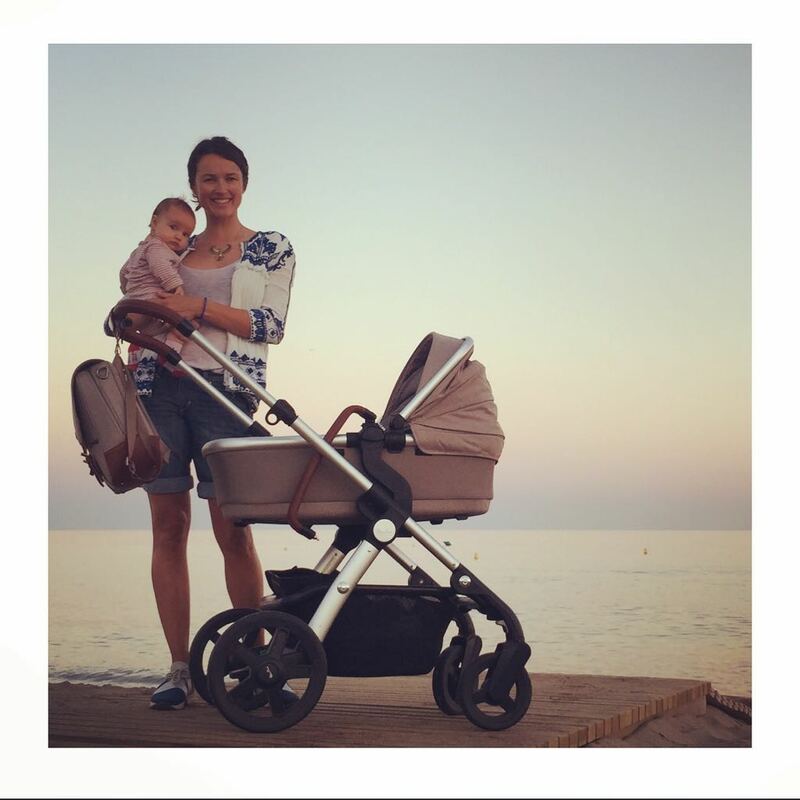 I also love their Reflex buggy- it is ideal for a lightweight, less sumptuous option, and is still useable from 0 months onwards. This is a paid collaboration with Silver Cross. All thoughts, opinions and styling are our own. We hope that you enjoy rediscovering old brands as much as we do!